An ardent fan of Tequila and Mezcal, Jay Khan has just joined Foxglove – voted Hong Kong’s best new cocktail bar at this year’s HK Bar Awards – as its group beverage manager. 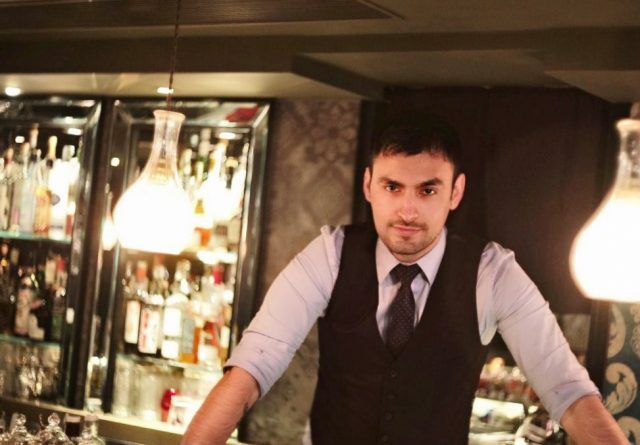 Born and raised in Hong Kong, Khan travelled to Melbourne in 2009 to work in the Alchemist Bar and then The Emerald Peacock before being offered the chance to return to Hong Kong to lead the bar team at Lily & Bloom. He orchestrated the menus at Agave Tequila Y Comida with Hong Kong’s biggest collection of Tequila and Mezcal and opened the popular cocktail bar, Post 97 with the Epicurean group. Khan has also had stints at the Galaxy Resort and Wynn Palace in Macau before returning to Hong Kong to work at Foxglove in October this year. He speaks to dbHK about his favourite hangout in Singapore and Hong Kong’s rapidly developing bar industry. Why did you choose to be a bartender? At first bartending just looked like a cool job to me. But the longer I worked in the industry, the more I realized that it is one of the best jobs to have. You can be as creative as you want and you can meet so many people from all over the place. The bartending community is probably the most connected in the world. Any country you to travel to, there will be at least one bartender you know! Which spirit ignited your passion? Mezcal and Tequila! I vowed to travel to Mexico every year to keep myself updated – which I do. What are the best and worst things about the bar industry? The best thing is the community spirit – we’re all very close. The worst thing right now is probably how fast the industry is growing in Hong Kong. You have a new cocktail bar opening almost every week and I think the pace is too fast compared to the number of bartenders we actually have. Most inexperienced bartenders are promoted way ahead of their time. If you had to be a particular cocktail or spirit which one would you be? A Brandy Crusta for the cocktail and Tequila for the spirit! Felt like I was in heaven. What are your favourite seasonal cocktails? Where is your favourite place in Asia for cocktails? Actually a few places. I really like Operation Dagger in Singapore and if I have the time to go out for a drink in Hong Kong, I would like to go to Agave in Wan Chai. It’s the only place that I can drink a ton of Tequila. Name one cocktail trend which is hot in Asia right now? Sustainability and transparency of ingredients. Please share one of your favourite recipes? An Elderflower Paloma: 45ml Tequila blanco, 10ml Elderflower liqueur, 30ml fresh grapefruit juice, 15ml fresh lime juice, 15ml simple syrup and 45ml seltzer.